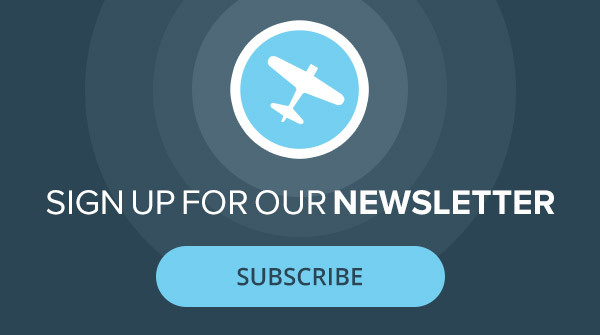 Get the latest news and notes from EAA AirVenture 2018 by signing up for our newsletter. Aspen Avionics introduced a new lineup of electronic displays at EAA AirVenture Oshkosh 2018. At the company’s Oshkosh press conference, Aspen Avionics president and CEO John Uczekaj announced a new lineup of electronic flight displays that in at least one important detail changes the way that avionics companies do business with the FAA. None of these new displays look new, oh, but they are. With all new glass up front and all new electronics in back, these new displays are brighter, faster, more colorful and smarter, even through they continue to fit the same aspect ratio as before and continue in Aspen’s tradition of making installs less costly by using the existing round gauge instrument holes from the analog instruments they’re taking the place of—you still need backups, true, but Aspen even has a plan for that. The new lineup includes the entry-level E5 electronic flight instrument, a dual-display instrument that combines attitude and DG into a primary flight display all for under $5,000. The E5 integrates with the new TruTrak Vizion autopilot and many legacy units, as well. The big twist is that the E5 can also do that caterpillar to butterfly trick by turning itself into a more powerful instrument. By upgrading it you can take the non TSO’ed E5 and turn it into an FAA TSO’ed Aspen EFD. Same instrument, just upgraded. And it’s affordable (well, relatively speaking… this is aviation). You then get HSI display—I know, we don’t like the idea of having to buy up to an HSI much either—and you can add synthetic vision, and more. The E5’s isn’t that new (though the TSO upgrade path is). 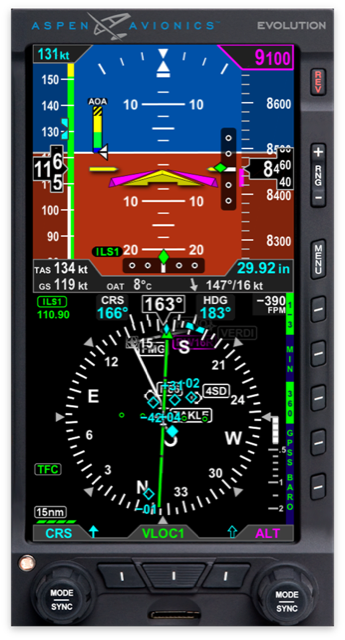 But what is new is Aspen’s flagship instrument, the EFD 1000 ProMax, which boasts all the bells and whistles, including multi-unit (with the install of two or three EFDs, both common configurations), GPS-aided AHRS, smart-sized fonts, a tremendously rich color palette, and optional synthetic vision.